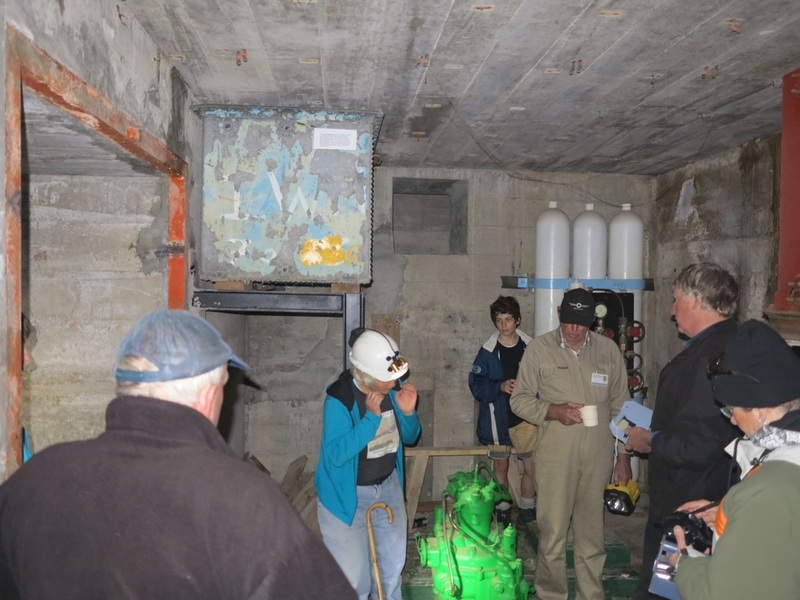 It was a Waiheke Island invasion with a twist – not only would the team visit the Stony Batter Fort, but the elite squad would overnight inside the tunnel complex! The first wave hit the ramp at Waiheke Island and made an immediate impact on the local population. We were reinforced by the second wave an hour later, including reinforcements from the Bay of Plenty. The entire force of 14 vehicles convoyed through town and assembled on the beach, startling joggers and people walking dogs. (The things you see when you don’t have a camera!) The locals appeared to appreciate being liberated. Peter Yates masterminded the campaign and used his powers to ensure the tide was out. Pretty convenient really! Departing the beach, convoy leader Yates took us on the scenic route including tar-sealed goat tracks that were not wide enough for a transport column to pass an oncoming water tanker! Some of the more gentle souls had decided to camp at a motel, so we dropped their gear off before boldly striking out for Stony Batter. 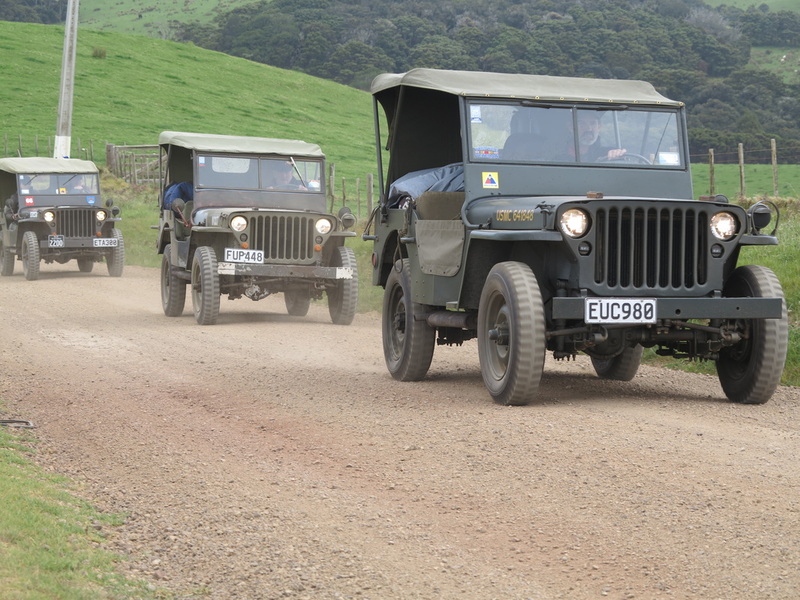 Some drivers were better than others at following convoy rules and keeping the vehicle behind them in sight. There were several times when the convoy split, but thankfully it is not a very big island! Yatesy again used his magic powers and got the gate to Man o’ War Station unlocked for us so we could drive right to the tunnel door. The historic reserve is owned by the government but it is landlocked by Man o’ War Station, owned by John Spencer. The Stony Batter Preservation and Restoration Society is the leasee and operator of the tunnels and there is an uneasy truce between them and the farm. Sue Pawley of the Society greeted us like long-lost friends. She is the driving force in the ambitious project of restoring the fort so that it once again has a 9.2 inch gun and the myriad of machinery needed to operate it. The original equipment was cut up for scrap in 1961. Sue’s father worked on the fort and although she is aging, her passion for the project is as strong as ever. The public can see the potential with lots of gear already in place. After exploring the tunnels we socialised around the vehicles outside. The objective for this part of the mission was to mount a vehicle display to draw more visitors to the tunnels. Many people trekked out and enjoyed the experience. We transported some families back to the gate. Their donations added to the funds raised for the restoration of the fort. Up on the hill above the wind grew stronger and rain threatened. The motel dwellers departed late afternoon for their hot showers and soft beds. The hard nuts decided to set up our beds before we had too many beers. The area we utilised was 60 metres into the tunnels, past two right angle turns. It was the projectile and cordite magazine about 10m below the No.2 gun pit. There is a vertical shaft that used to connect the two with an elevator for the ammunition. Apparently cordite was a bit dodgy and volatile. Workers had to strip off outside the cordite magazine and change into clean suits and footwear to avoid sparks. I’m not sure how they discovered that this was necessary! I was not particularly looking forward to sleeping in a concrete echo chamber deep inside a hill. Claustrophobic tendencies run in my family. However, as the storm increased outside, the tunnel became more welcoming. This effect was enhanced because as you went further inside it got warmer. It was like crawling back into the comfort of the womb, or some such stupid analogy! 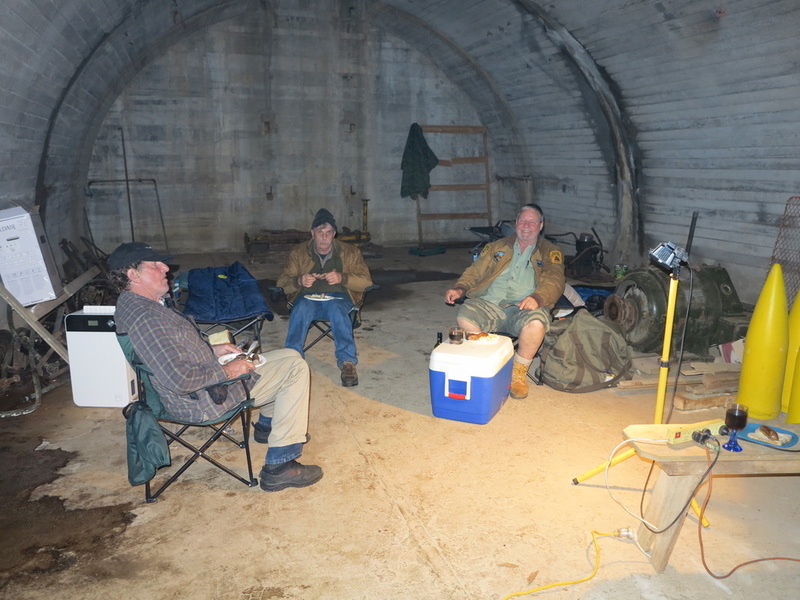 We could not get the BBQ going effectively in the rain and gale outside, so brought it into the tunnel entrance. Once the food was ready we retreated into the magazine to eat, drink and be merry. It was a really enjoyable and unique experience. The club gives us access to these adventures that others never get to do. I don’t know when anyone last slept in the magazine, if ever! I issued earplugs to all present and eventually we bedded down. Some slept better than others! Most seemed to need to make the long trek to the great outdoors at some stage of the night. On Sunday morning we packed down. One enthusiastic member started dismantling his bed and dropping the pipe sections on the concrete floor. This had the effect of rousing the remaining sleepers whether they wanted to wake up or not. We cooked up breakfast in vastly improved weather conditions. Sue returned and we had a final look around, including trekking to the far end of the fort to see progress in a machine room. Sue explained that the guns were designed in the 1930s and featured a doubling of the firing rate from one round per minute to one shot every 30 seconds. To achieve that, after a shot the gun first got a blast of compressed air to void the smoke and cool the barrel. The breech then got a fine spray of water injected to further cool it so that it was safe to load the 172kg projectile and two bags of cordite without premature explosions. 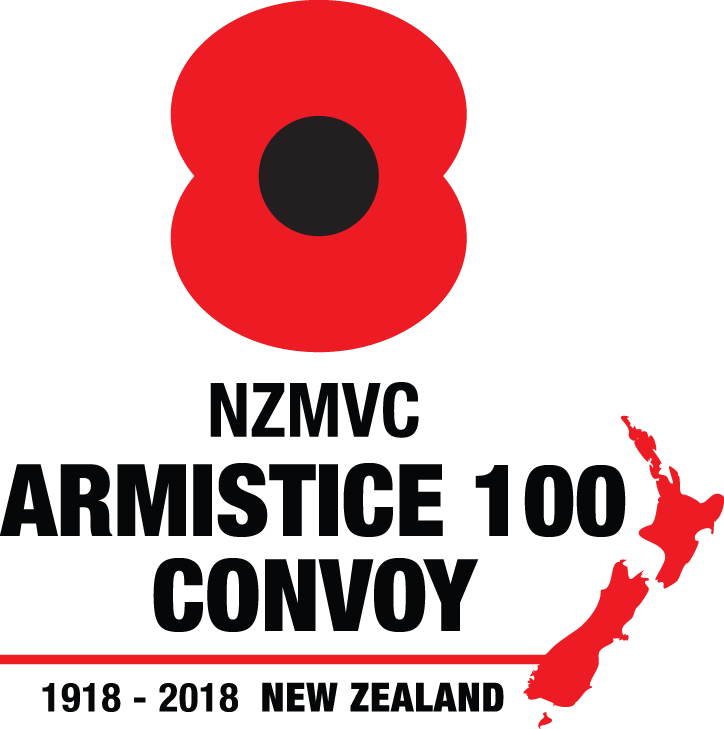 They could lob the shells 30km – far enough to hit Warkworth. Departing the fort, we convoyed to the Man o’ War winery for a splash of wine tasting. It’s a tough job but we had to do it in return for vehicle access through the farm to the fort. Eventually we got back to Waiheke RSA for lunch. The caterers opened especially for us by arrangement. There was some pretty solid organisational work put in by Peter Yates. He organised the ferry discounts, Stony Batter, Man o’ War winery, the RSA and media coverage. Thanks Pete! 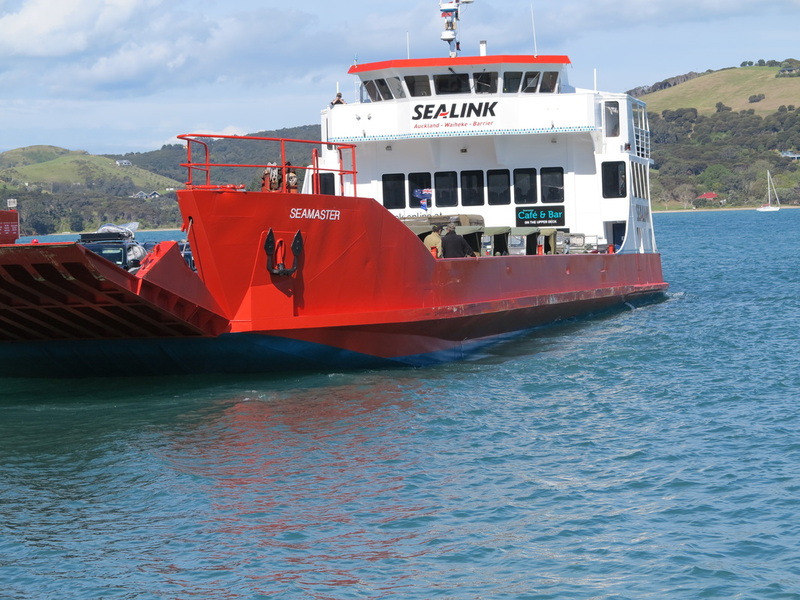 The vehicles embarked on the 4.30pm ferry in sunny conditions for the sea voyage home. 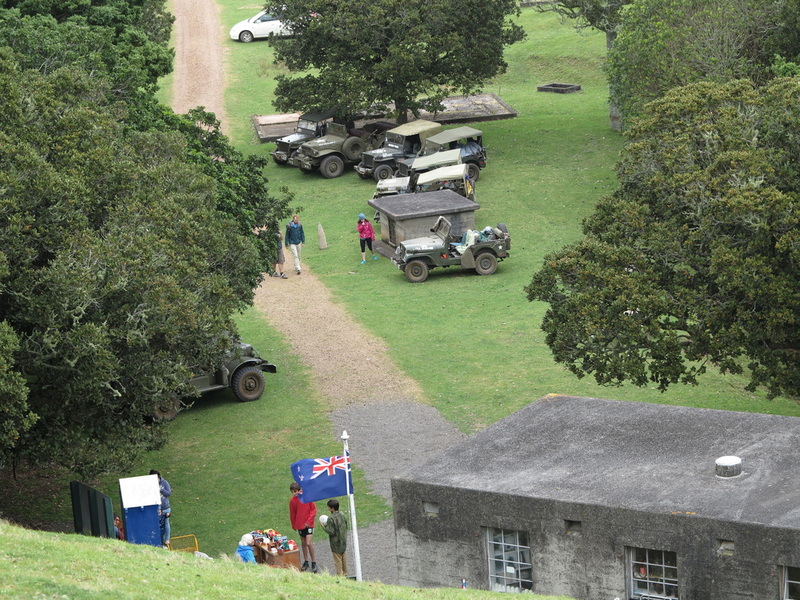 While Waiheke Island is not part of the Easter Rally 2015 program, anyone is welcome to join us on the next invasion. If you live too far away to drive, fly in and ride with us. It is a unique experience that will look great on your CV!